Protestors against police checking tickets on Port Authority public transit march on Thursday, Oct. 12, 2017. 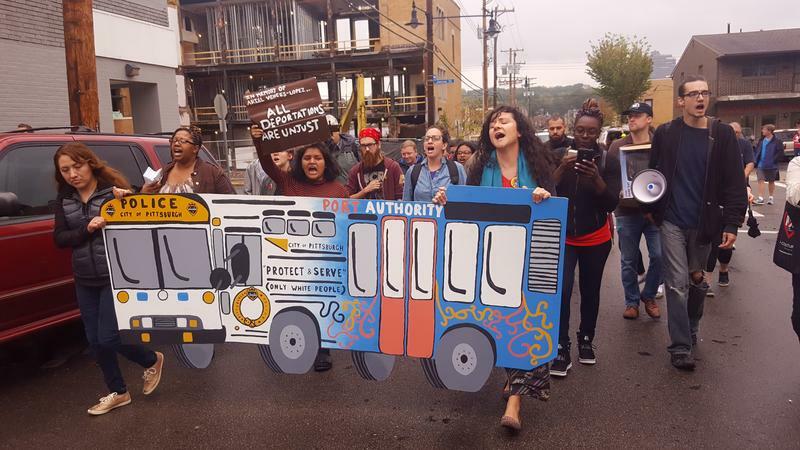 On Thursday, more than 50 public transit riders sent hundreds of postcards to state representative and Port Authority board member Dom Costa, urging him to oppose plans to possibly allow police enforcement of ticketing systems on public transit. This was in response to PAT's plans to change the payment enforcement system on its light rail. As of now, people must pay transit fare before boarding public transit, though the system is not readily enforced. In June, interim Port Authority CEO David Donahoe said an enforcement change to take place this fall would possibly involve armed PAT officers. But Port Authority spokesperson Adam Brandolph said the fare enforcement system will likely not be changed until at least the beginning of next year. He added that PAT board members would not have to vote on a change in enforcement policy. Laura Wiens, director of Pittsburghers for Public Transit, said the advocates want a system where civilian fare enforcement officers have a customer service focus. "[That] leaves the Port Authority police with the freedom to be able to address the concerns that they were actually hired to do, any kind of safety concerns riders and drivers might have," Wiens said. Wiens said she's concerned having law enforcement on public transit increases the chance of racial profiling. "Some Latino riders will stop using public transit even if they're good, fare paying, law-abiding citizens," she said. "They're not going to take the chance that they will be detained and deported for using public transit." Donahoe said there would be no selectivity about checking passenger tickets. 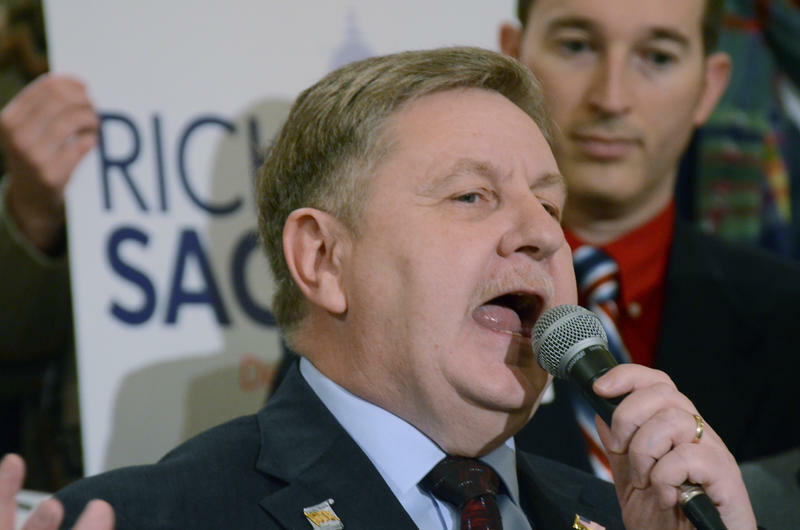 "It will be everyone there, whether you're in gym shorts or a suit and tie," Donahoe said in June. The rally also honored the lives of individuals killed by transit police across the country, including Oscar Grant, an unarmed black man killed by San Francisco transit police in 2009. Basement toilets are a pervasive feature of Pittsburgh homes -- so much so that one local photographer set out to document them. And although local lore suggests they were first installed so that mill workers and miners could clean up before entering the main part of the house, multiple local experts said they couldn't verify that, and most declined to weigh in on how these mysterious home features came to be. It’s no secret that the Trump administration is often at odds with scientists. His recent agency nominations continue to reflect that. 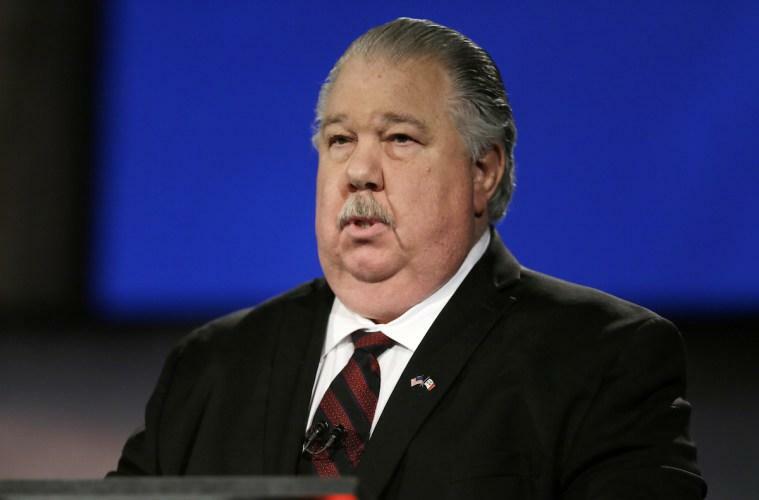 Sam Clovis is Trump’s pick for Chief Scientist at the U.S.